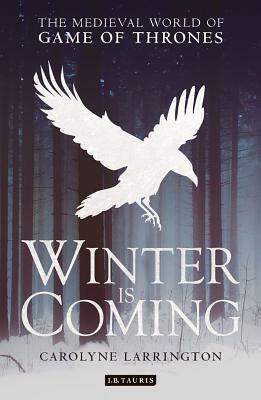 Winter is Coming is a book that is sure to delight Game of Thrones fans interested in looking at the inspirations behind both books and TV series. That said, how much you get from it will depend on your existing knowledge. If, like me, you happen to be well read in mythology and history, many of Larrington's references will likely already have occurred to you as you read/watched. Even so, there were still a few links I hadn't considered and found interesting. If, on the other hand, you have no background in such studies, this book may prove insightful and lead you on to further reading. I enjoyed the way the book was set out, and it was useful to have the spoiler warnings just in case the reader was not yet up to date with the series and books. The prose was readable and engaging, and the book felt the right length - long enough to look at things in detail, but not so long it got bogged down. For my personal enjoyment and learning, I would give this book three stars; however, in light of the fact it would be useful for someone without a strong base knowledge of myth and history, I am giving it four stars.